A game that sells 300,000 copies certainly hasn't done poorly, but it isn't exactly busting the charts, either. Even so, Trials HD developer RedLynx is satisfied with the performance of their little-XBLA-title-that-could. Speaking with CVG, RedLynx studio CEO Tero Virtala pointed to the modest success of their physics-platform-racer as an example of how downloadable services like Xbox Live Arcade could open doors for small developers that would be firmly closed otherwise. "We're a smaller, 25-person multiplatform studio, and for us this is an excellent example of how digital download space opens up significant opportunities that might not otherwise be available for creative and talented smaller teams," he said. It's hard to disagree with the man, either - on store shelves, Trials might have been buried by big-name titles like Batman: Arkham Asylum, but via the XBL marketplace it's just a click away. In fact, it's becoming increasingly likely that we'll see more games like Trials as digital distribution services like XBL, PSN, and Steam become increasingly ingrained in the gamer consciousness. A small team keeps costs down, a lower price means that it's more attractive to penny-pinching gamers, and it doesn't have to sell quite as many copies to break even. Congrats, RedLynx. You might not be setting the world on fire, but you're doing well for yourself anyway. Now how about some DLC tracks, eh? It's good to know that indie developers have a chance in the gaming market, some of their ideas are AWESOME! I'm with ya there Funk, some more tracks would be great...of course I should probably finish Hard, and start Expert before I ask for more. Glad I could help! But seriously thanks for the game, only got 2 tracks left to get Silver on and another 4 for Gold. Also I'm trying to get some more of my friends to buy it so they understand my pain - and my pride at some of my scores... We WILL reach 500k sales RedLynx!! 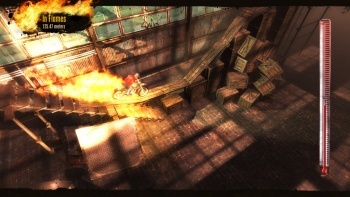 I like the Trials 2:Second Edition on Steam. Good for a little bit of fun. In fact, it's becoming increasingly likely that we'll see more games like Trials as digital distribution services like XBL, PSN, and Steam become increasingly ingrained in the gamer consciousness. This wouldn't happen to mean that he's porting it to PC, right? Just that "more games like this will come out for PC, like Trine," right? I would be more than happy to download Trials on PSN. Seeing how brutal this game is, very impressive number of sales. I really regretted my purchase while playing the Expert levels, but when I finally beat them... most satisfactory Arcade game ever. It is good to know that indie players have a chance.